Ed Oxenbould stars in The Butterfly Tree. Photo credit Matt Hart. An additional two Australian films have been added to the Toronto International Film Festival’s (TIFF) 2017 program, 1% and The Butterfly Tree, screening in the Discovery program which showcases the work of emerging filmmakers. 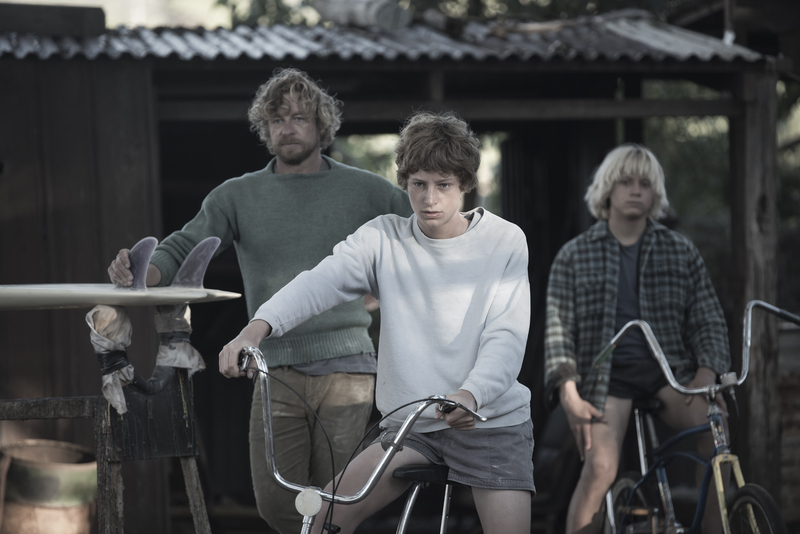 The announcement completes the line-up of Australian films at this year’s festival, including previously announced titles Breath, Sweet Country and Cocaine Prison. The feature directorial debut from Stephen McCallum, 1%, with a script by Matt Nable, will have its world premiere in Discovery. In this crime drama the vice president of an outlaw motorcycle gang has to betray his president to save his brother, resulting in civil war. The film features an outstanding cast including Ryan Corr, Abbey Lee, Matt Nable, Simone Kessell, Josh McConville and Aaron Pedersen. Produced by Jamie Hilton and Michael Pontin at See Pictures, 1% was financed by Screenwest and Lotterywest, Ticket to Ride Films, Spectrum Films, Head Gear Films and Red Apple Camera Rentals, with completion funding from Screen Australia. International sales are being handled by Celluloid Dreams and the film will be distributed in Australia by Icon Films. The Butterfly Tree, the feature debut from writer/director Priscilla Cameron, had its world premiere at Melbourne International Film Festival earlier this month, and will have its international premiere at TIFF in Discovery. Starring Melissa George, Ewen Leslie, Ed Oxenbould and Sophie Lowe, The Butterfly Tree tells the story of Evelyn, an ex-burlesque queen, who bewitches single dad Al and his teenage son Fin with her zest for life. The Butterfly Tree was produced by Bridget Callow-Wright and financed by Screen Queensland, Cowlick Entertainment Group, MIFF Premiere Fund, Film Victoria, The Post Lounge and Vendetta Productions. Previously announced Australian films at TIFF this year are: the world premiere of Simon Baker’s Breath based on Tim Winton’s award-winning novel of the same name, in Contemporary World Cinema; the North American premiere of Sweet Country, the highly-anticipated feature from Cannes Caméra d'Or-winning director Warwick Thornton, in Platform; and Violeta Ayala’s documentary Cocaine Prison, which was filmed inside Bolivia’s notorious San Sebastian jail, in TIFF Docs. Other Australian talent featured in foreign films at TIFF throughout the Gala and Special Presentation sections include: Ben Mendelsohn (Darkest Hour); Victoria Hill and producer Gary Hamilton (First Reformed); Margot Robbie, Bojana Novakovic and director Craig Gillespie (I, Tonya); Jordan Rodrigues and Danielle McDonald (Lady Bird); Travis Fimmel (Lean on Pete); David Valencia (Loving Pablo); writer Emma Jensen and executive producer Rebecca Miller (Mary Shelley); Jason Clarke (Mudbound); Bella Heathcoate (Professor Marston & the Wonder Women); producer Cameron Lamb and executive producer Andrew Banks (Submergence); Nicole Kidman (The Upside); Abbie Cornish and Samara Weaving (Three Billboards Outside Ebbing, Missouri); and writer/director/producer Matthew Newton (Who We Are Now). In addition, Lucinda Armstrong Hall stars in Porcupine Lake in Contemporary World Cinema. The Toronto International Film Festival runs from 7 September to 17 September 2017.